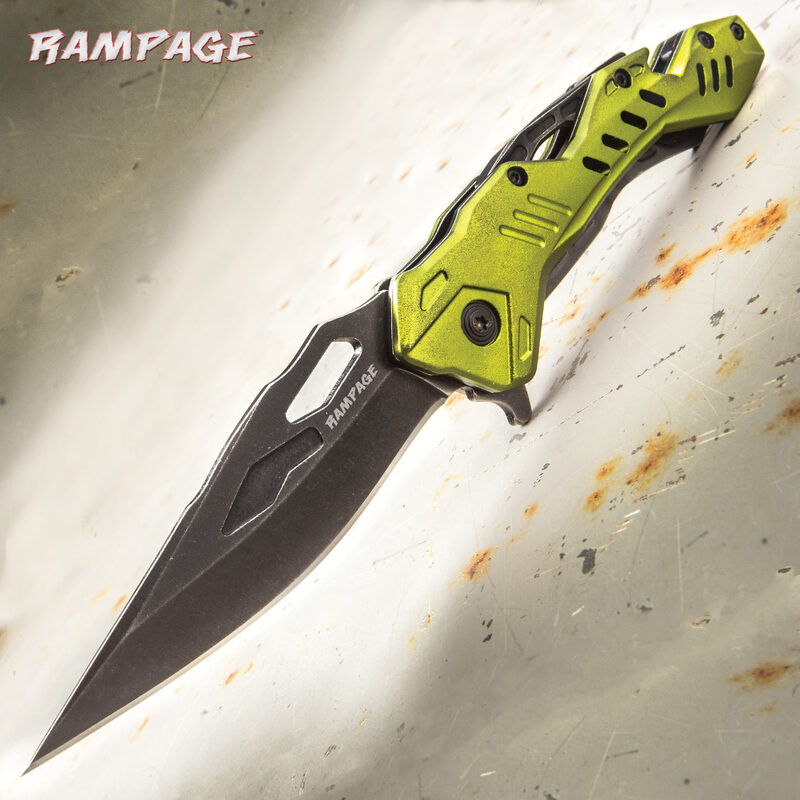 Rampage Green Atomica Assisted Opening Pocket Knife - Stainless Steel Blade, Aluminum Handle, Bottle Opener, Pocket Clip - Closed 4 3/4” | BUDK.com - Knives & Swords At The Lowest Prices! 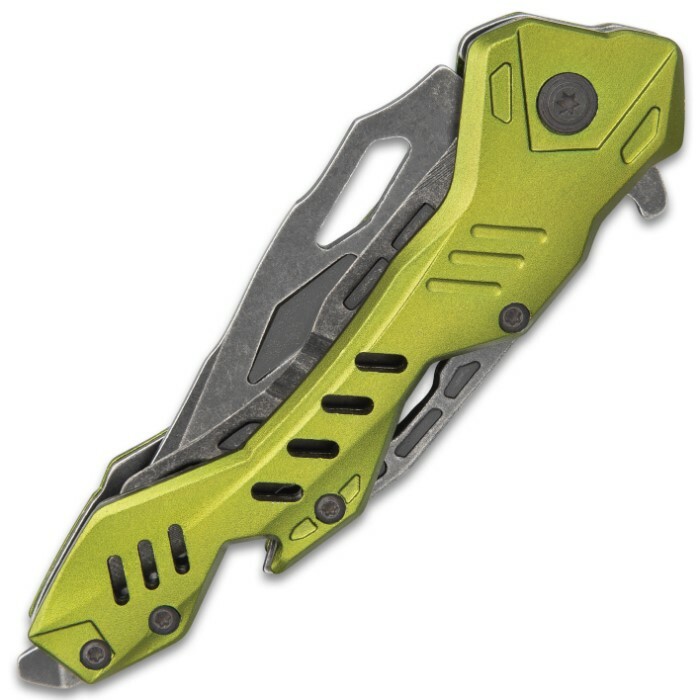 The Rampage Green Atomica Assisted Opening Pocket Knife takes everyday carry to a new level with its sleek design and extra features. 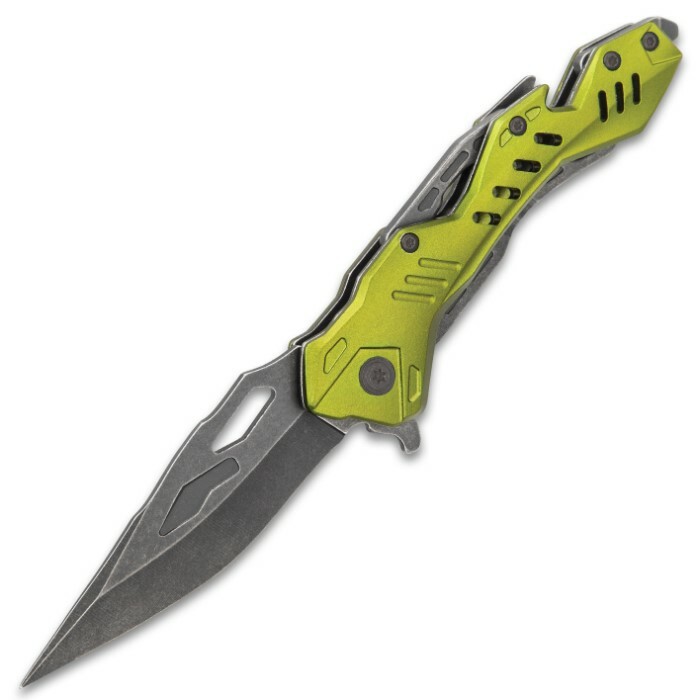 It has a keenly sharp, 3 1/2” stonewashed, stainless steel blade that can be quickly deployed using the flipper to access assisted opening. The aluminum handle is metallic green and stonewashed and is loaded with features with a bottle opener and a hefty glass breaker. The pocket knife is 4 3/4” when closed and also features a tough aluminum pocket clip for ease of carry.